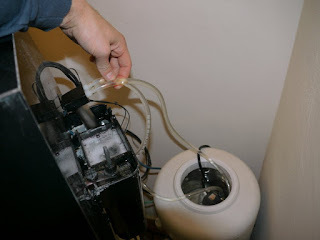 In my first post about building an aquarium chiller, I used a coiled stainless steel heat exchanger that I bought at a lab surplus sale. It was very likely built from 316 stainless steel, but it eventually corroded. Despite my attempts to repair and passivate the stainless steel, the coil continued to corrode, and I permanently removed it from the aquarium. 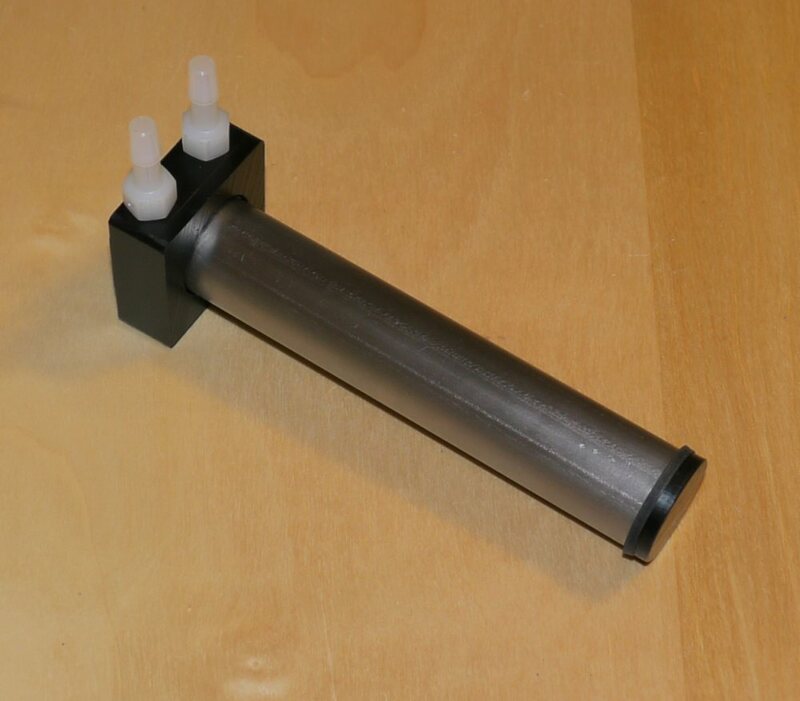 Since the weather is starting to heat up, I decided to build a titanium replacement for the chiller heat exchanger. I bought some 1" dia x 0.025" wall titanium tubes on eBay after fruitlessly searching for a coil or something that I could bend into a coil. The surface area is about 16 in^2. The stainless coil had a surface area of about 20 in^2, so the heat transfer should be comparable. The heat exchanger is built so that the metal tube is pinched between the plastic end caps when they are threaded onto the internal aluminum shaft. There are rubber washers to seal the metal to the end caps. 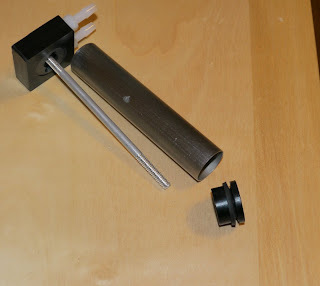 The device fits into my hang-on filter in the same position as the stainless coil did. I'll let everyone know how it works. It looks like it might be possible to glue delrin with 3M DP-8005 after this chromic acid etching process. I'll do some more testing later. I guess this mixture is commonly called chromic acid. I have now built this lamp into a searchlight housing. I made a short video showing a test of an Osram 1000W xenon short arc lamp. I plan to build this lamp into a searchlight housing.